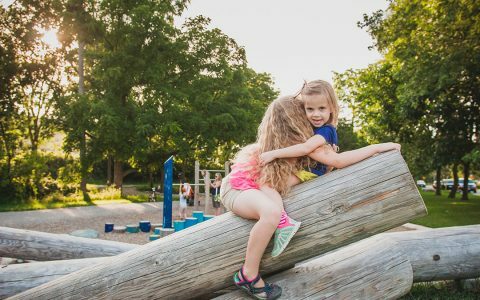 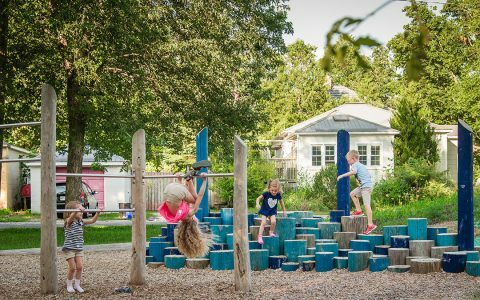 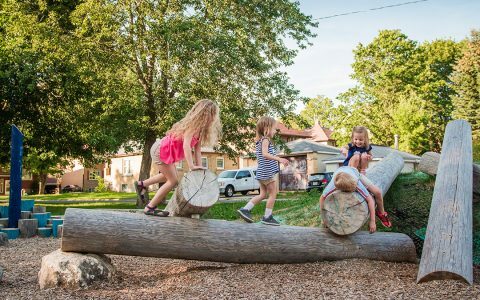 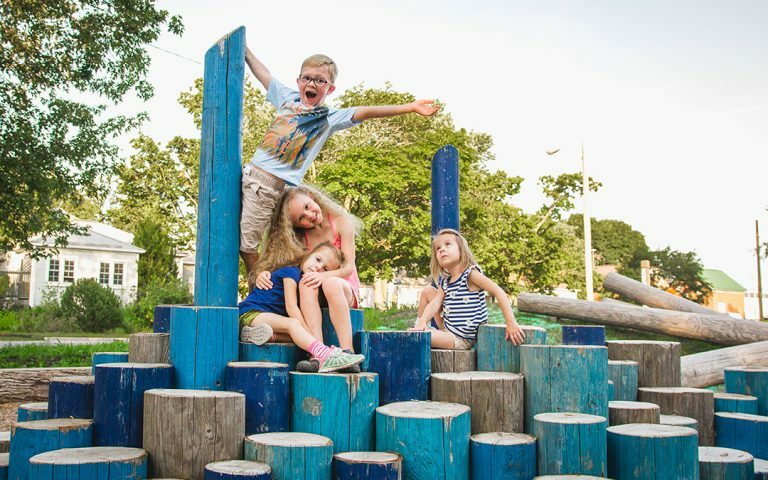 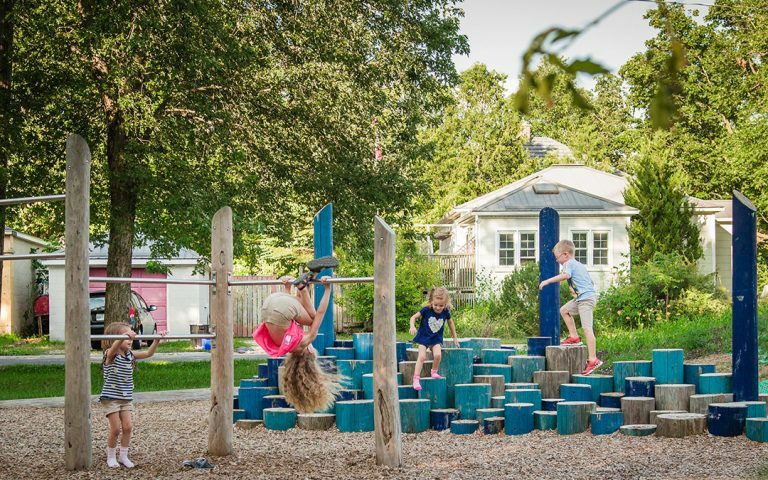 The natural playground at Gildner Green is a neighbourhood play space that adds big play value within a small footprint. Adjacent to a well-travelled bike commuter trail, the playground serves as a rest stop on a family biking afternoon as well as a gathering spot for neighbourhood families and children. 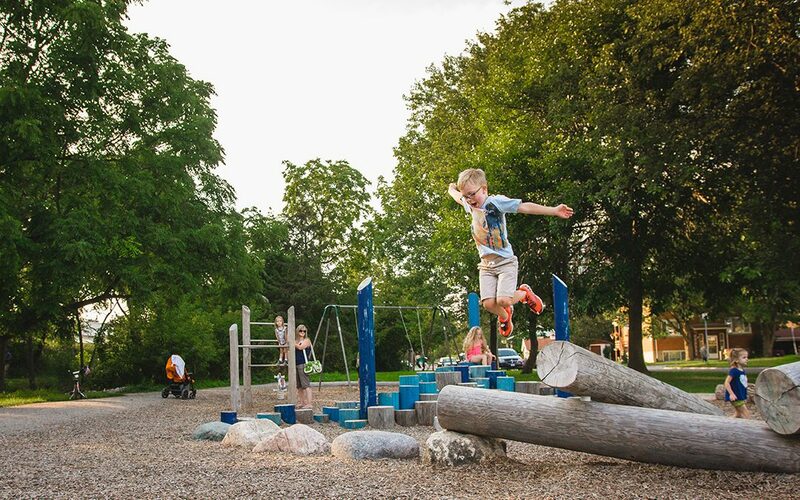 The playground has small topographical changes that create a fun and unique spot for playground games like tag or grounders. 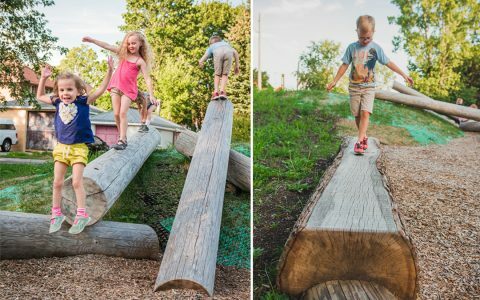 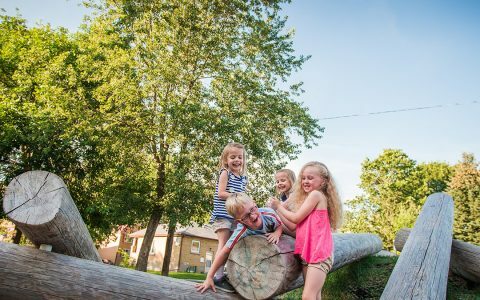 Children can scramble over and under the jumble of logs and boulders – perhaps lying down to balance on the angled log or pretend to run across a floating timber as it rushes down a river. 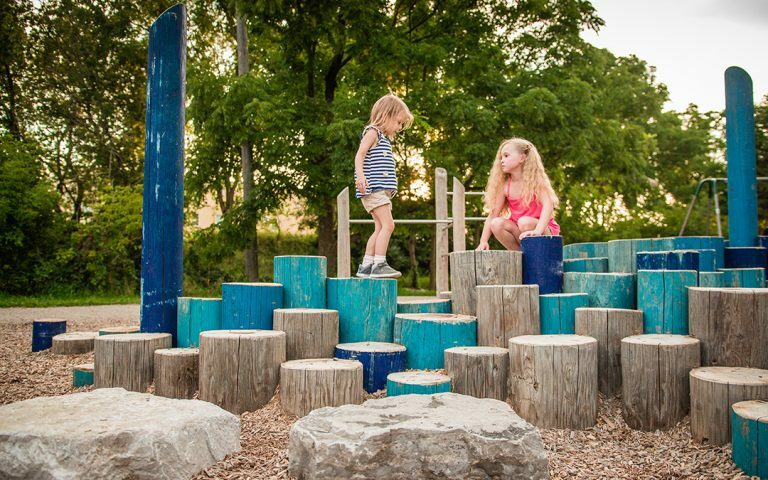 Blue and turquoise stained log steppers add a subtle punch of colour to the playground but keep a natural aesthetic. 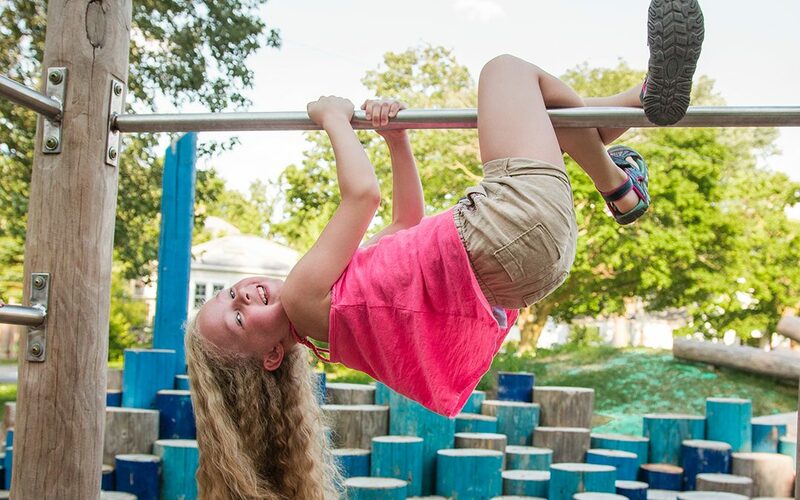 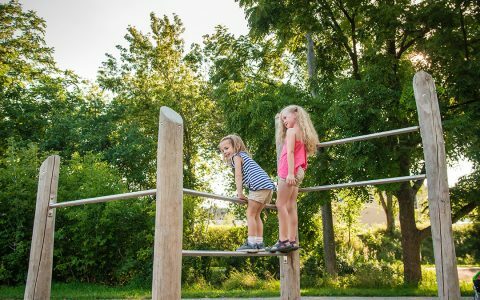 Kids can swing and hang off of monkey bars to practice gymnastic skills or watch parents complete some chin-ups! However children and adults choose to use the open ended play features, this non-prescriptive play space invites exploration and imaginative play that fits well into the existing site.